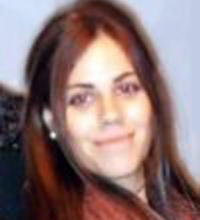 KYRIAKI YIAKOUPI - Research Technical Assistant, joined the CyI in November 2011 as Research Technical Assistant for STARC. She holds an MA in Conservation Studies (Historic Buildings) from the University of York, UK, 2011 and BA (Hons) in Interior Design from the University of Wolverhampton, UK, 2010. Kyriaki has participated in several international multidisciplinary projects with expeditions to develop her skills in the Conservation of Cultural Heritage. Kyriaki's main scientific interests are related to the ethics and philosophy of conservation, the analysis and interpretation of the historic buildings, along with the introduction of many different techniques of 3D technological equipment in order to understand the static and pathological condition of the structure, the geometry, the style and preservation accuracy through 3D architectural modelling and Digital Cultural Heritage Technologies.